Cars and Coffee Buffalo is a social gathering for fellow automotive enthusiasts to meet and discuss everything automotive related, while surrounded by the company of great vehicles and great coffee. This is NOT a car show, this is a get together for car owners to meet other car owners in the area that share their same passion for automobiles. –Anyone that jeopardizes attendee’s safety, or the future of our Cars and Coffee will not be allowed at future events. All vehicle marques are welcome, and encouraged to attend. 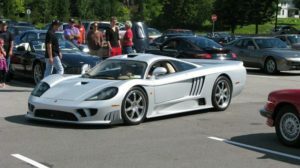 The Lotus, Porsche, Fiat and Ferrari clubs will be in attendance, as well as enthusiasts from 10 or 15 different automotive brands. Some brands you can expect to see at the event include: Aston Martin, Lamborghini, Tesla, Saleen, Ferrari, Audi, Porsche, Mercedes Benz, Alfa Romeo, Lotus, Bentley, Jaguar, Shelby and more! Please contact Matt Wetzel if you have any questions or concerns about the event.